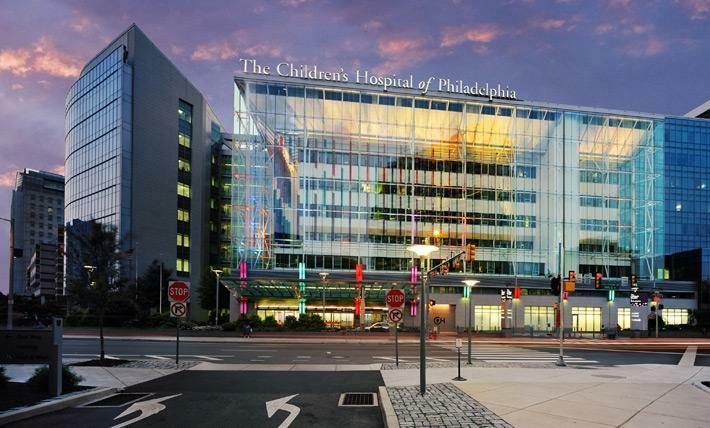 The Children's Hospital of Philadelphia offer two portable mamava lactation stations. Nursing moms at the hospital who need to breastfeed or breastpump can use this breastfeeding pod when they need a quiet more private space. Pennsylvania protects nursing moms right to openly breastfeed wherever they feel comfortable, but the portable pods are an option for moms who need to breastpump or not yet comfortable with public breastfeeding. This is the Mamava quiet 4-foot-by-8-foot lactation station that can be found at many other breastfeeding places on the MomsPumpHere lactation station locator. This nursing pod is equipped with two benches and an electrical outlet. Their doors fully shut, and the rooms are large enough to fit a family of four plus bags. Note: These mamava lactation suites are portable, and the children's hospital might relocate them where they're needed most.